The Porsche 918, LaFerrari And McLaren P1 Are All Headed To Lego! Rejoice, fans of the hypercars! While you're not likely to own one of the three obscenely powerful hybrid monsters right now (not until they start going for cheap on Craigslist, anyway) you will be able to own them next year in tiny Danish brick form. 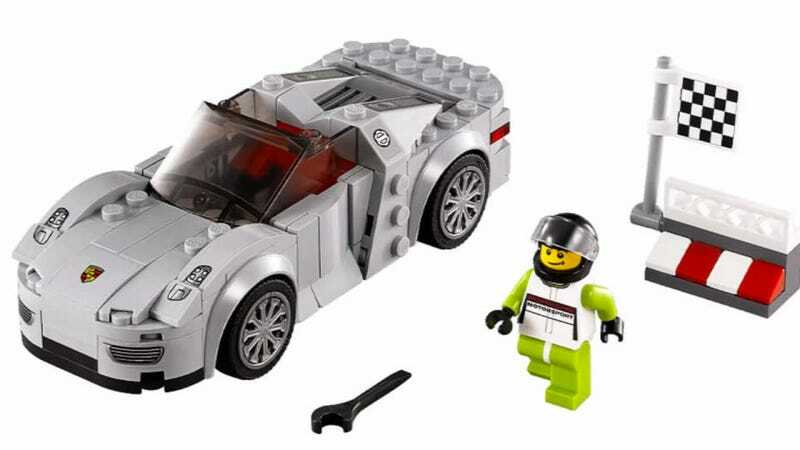 Our friends at Road & Track uncovered a new video that proves the McLaren P1, LaFerrari and Porsche 918 Spyder are all getting adorable Lego sets next year. That should be fun! It's more than just the hypercars, too. The video leak says the Ferrari 150, Ferrari F14, Ferrari 458 Italia GT2, Porsche 911 GT and McLaren Mercedes F1 car are also getting lego sets. It's a good time to be a Lego gearhead.